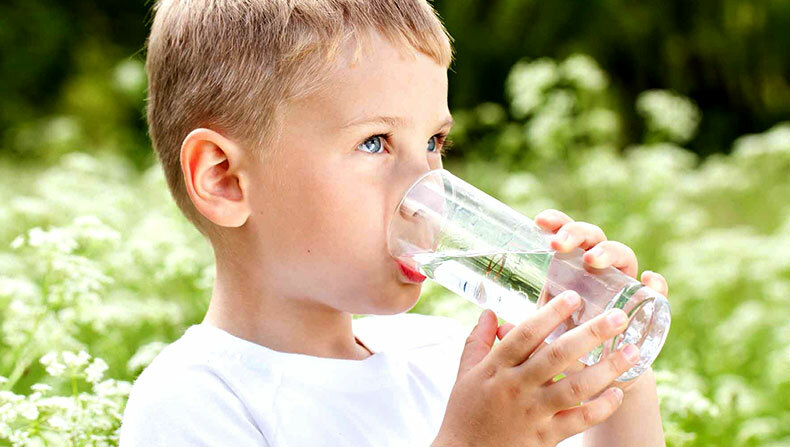 The Environmental Health Division Drinking Water Program staff certifies individual potable water sources (private, onsite water well) and oversees the regulation of state small water systems. Staff will perform site inspections, review water sample results, and issue operating permits for state small water systems in Ventura County. The 2016 California Plumbing Code defines potable water as "water that is satisfactory for drinking, culinary, and domestic purposes and that meets the requirements of the Health Authority Having Jurisdiction." The Environmental Health Division has established minimum requirements for individual water systems and state small water systems based on California Plumbing Code, California Health and Safety Code, California Code of Regulations (Title 22), Ventura County Building Code, and Ventura County Ordinance Code. An Individual Water System refers to a system which supplies drinking water to 1-4 service connections, and serves potable water to less than 25 people annually. How Do I Certify My Water Well? 2. Water quality analysis (see page 2 of Certification of Water Quality Application). Water samples must be analyzed by a State Certified Laboratory. PLEASE NOTE: State Certified Laboratory personnel must collect the water samples for analysis. Water quality results must be sampled less than one year from the time of submittal. Provide chain of custody documentation with the analytical results. 3. A plot plan, drawn to scale, identifying the location of the water well, all water lines, water tanks, all structures, septic systems, animal pens, etc. on the subject property. 4. If the water well is shared, a shared water well agreement. This agreement must be recorded on the property deeds for both the supplier and the supplied parties. Please review this public information handout on Shared Water Well Agreements for more information. 5. A water well pump test report approved by Ventura County Public Works Agency, Groundwater Resources staff. Pump tests which have not yet been approved by Groundwater Resources will not be accepted. 6. Well Completion Report (also known as Water Well Driller’s Report or Well Log) . The California Department of Water Resources (DWR) maintains these reports. A State Small Water System has 5-14 service connections and does not regularly serve drinking water to more than an average of 25 individuals daily for more than 60 days out of the year. State small water systems require an annual permit to operate, and are inspected for construction and maintenance compliance. They are also required to submit bacteriological and chemical water analyses for ongoing water quality monitoring. How Do I Become a State Small Water System? 1. An Application for Permit to Purvey Domestic Water and plan review fee must be submitted for all new state small water systems, and all existing state small water systems making changes, modifications, alterations, and/or additions to the water source, method of treatment, and/or distribution system (including the addition of service connections or water customers/users). 2.Submit water quality analytical results, including Bacteriological, Primary and Secondary Inorganic, and Primary Organic drinking water standards as described in California Code of Regulations Title 22, section 64431-A, section 64442, section 64444-A, and section 64449-A and B.
California state statutes and regulations pertaining to state small water systems may be found here. NOTE: All water purveyors, including state small water systems, must have an accepted Water Availability Letter, or WAL, on file with the Ventura County Public Works Agency before any will-serve letters will be accepted by that purveyor for building or discretionary permits. Requirements in the VCWWM are enforced by the Ventura County Public Works Agency, Land Development Services. A Public Water Systems has 15 or more service connections, or regularly serves at least 25 individuals daily at least 60 days out of the year. These systems are permitted and regulated by the State Water Resources Control Board, Division of Drinking Water. This means that even if your water system has only one connection, if 25 or more people are served by the water system, you are a public water system and must obtain a permit to operate from the State Division of Drinking Water. Not sure what type of water system you are? Check out this Decision Tree for Classification of Water Systems. Looking for a California State-certified laboratory to analyze your water well? Check out the California Environmental Laboratory Accreditation Program interactive map! Not sure if your property is located near an oil/gas production field? Check out the California Division of Oil, Gas, & Geothermal Resources Well Finder. Interested in water quality in Ventura County? Check out the following links!